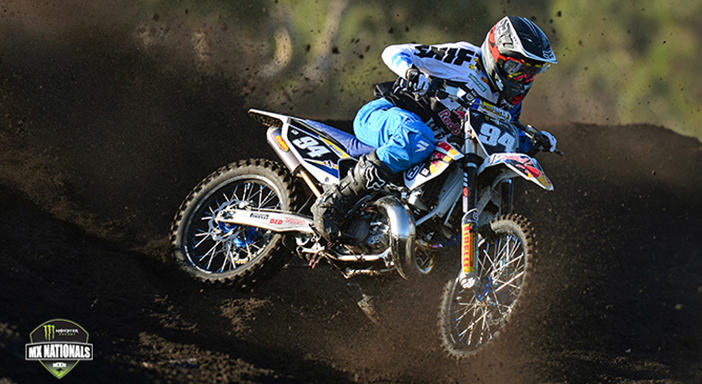 Australia’s MX Nationals heads into Round 7 this weekend with the heat turned up across all classes: MX1, MX2 and MXD. Debates have been kept alive throughout the 10 round Series: consistency versus wins, 2 stroke versus 4 stroke MX2, rookie/privateer versus factory and Kiwi riders versus Aussie. 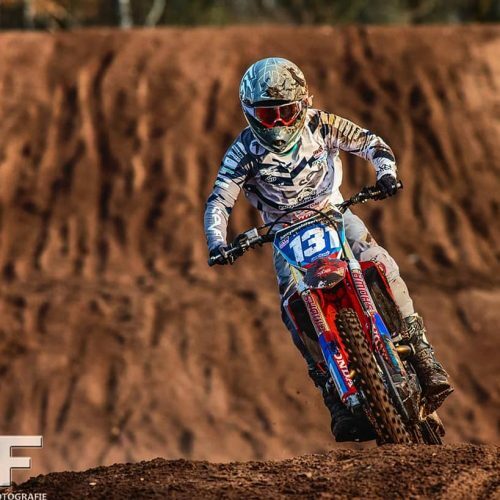 With 4 Rounds left heading towards the Final at Coolum on August 30th/31st Kiwi riders Rhys Carter (Team Motul Suzuki), Hamish Harwood (CMR KTM Red Bull Motorex) and Kayne Lamont (Red Bull Husqvarna) this Sunday’s racing will need to count. 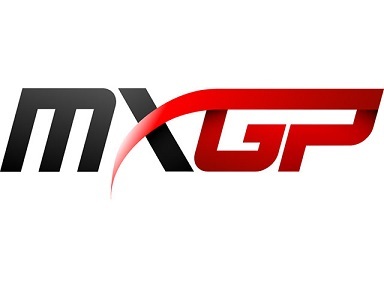 With the momentum of 2014 NZ MX Championships long gone MX1 rookie Carter, NZ MX2 Champion Lamont and 2013 Australia MXD Champion Harwood all remain focused on the goal ahead racing the final 11 motos. I caught up with the guys before Round 7, July 13th. SC: Best result so far 5th in Moto 1 Round 6- what do you take away from such a positive result? Rhys: Just stay positive from that first race and keep the speed and momentum that I had that weekend for the last 4 Rounds. SC: You paid tribute to Trent Haywood racing his # 323 at Round 6- obviously this was a special moment for you. At times the sport is full of emotions- do you see this as a positive influence on your riding or is it challenging part of the sport? Rhys: It was a very special moment for me as his family and friends made the trip over which was cool. It’s very challenging as it is my second very close friend I have lost from racing but I have to use it as a positive and turn it all into a strength while racing and training. I know how hard he trained and that for me is a strength. SC: Final 4 Rounds will be full on, with 3 in August. Are there any tweaks you want to work on off the bike and on before heading back across the ditch for Round 7? 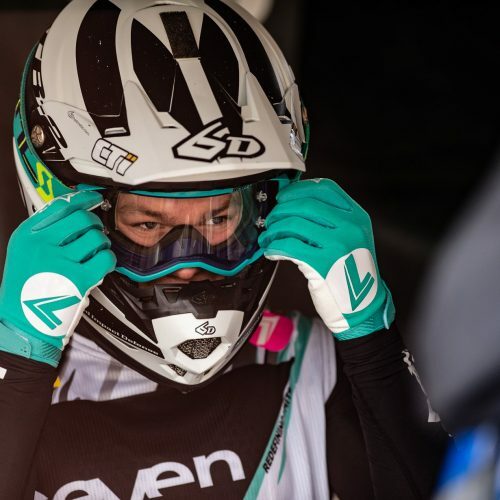 Rhys: Yeah there are always things to work on and starts will be one main thing also the start of my motos with sprints etc. SC: After Round 6 you are sitting 2nd Overall in MX2 Championship, the final 4 Rounds will be full on. How will you prepare: mentally as well as physically for Round 7, then 3 final Rounds in August? Hamish:My plan leading into the Final 4 rounds is to focus a lot on fitness before Round 7. Then we have a 3 week break before Round 8 and I plan to spend a lot of hours on the bike with Target MX Coaching, fixing up some bad habits. 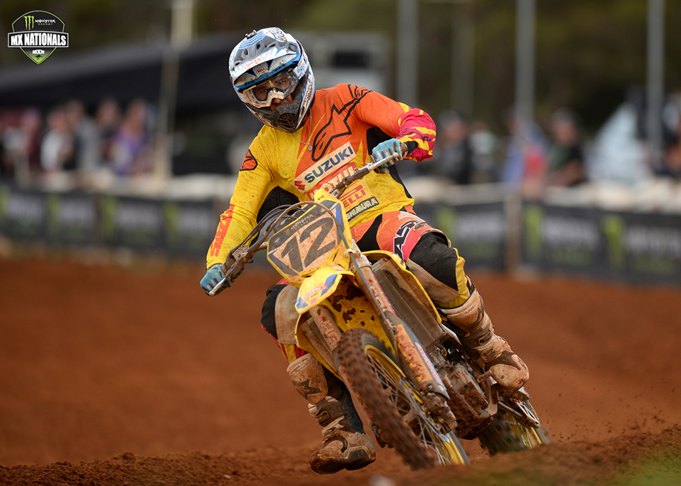 SC: Australia MX Nationals always pushes riders to perform under pressure. You don’t seem to buy into this and perform at your own pace. What keeps you grounded on AustNats race day? Hamish:I don’t seem to get affected too much under pressure. I don’t think about it either. As soon as the gate drops it all goes out of my head. I think it helps that I’m also quite a calm rider. SC: Stepping up to MX2 from last year’s win in MXD has proven you are comfortable racing KTM 250SX. Are you happy with the bike and do you feel comfortable against others guys on 250F? Hamish:I love these questions about the 2 stroke vs 4 stroke! 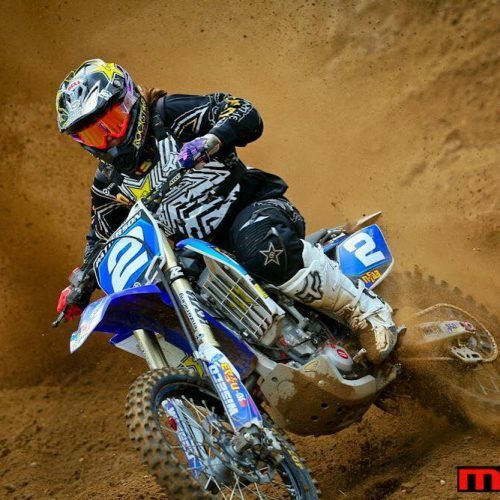 Yes I am comfortable on the 2 stroke and I do like the bike and set up I’m running. I know for a fact I’m faster on a 4 stroke from doing testing but the 2 strokes are better for starts. We don’t have the budget to run the 4 stroke. I don’t feel as comfortable with the 2 stroke on hard pack, but then I do like the 2 stroke on soft soils. SC: How was Round 6 for you? Kayne: Round 6 wasn’t the best weekend for me. I was suffering with sickness all week and weekend. I had two horrible starts and struggled breathing during the races. I finished with a 6th in race one and 12th in race two for a 9th overall. SC: With final 4 Rounds coming up, last 3 in August- racing will be down to the wire. You’ve had plenty of experience racing under pressure- how will you maintain your focus on the track? Kayne: I just need to focus on myself and not worry about anyone else. My goal is to take race wins again and overalls as I need as many points as I can get. SC: Coming off NZ MX season with MX2 Title and heading straight into Australia’s MX Nationals it has been a long haul over last few months. Will you alter any training programme or gym programme to keep yourself fresh for the Final Rounds? Kayne: It has been flat out. I took a while to get over my appendix operation and had a small shoulder injury during the Aussie races, so training has been quite difficult. But now I can train how I did during the NZ series. 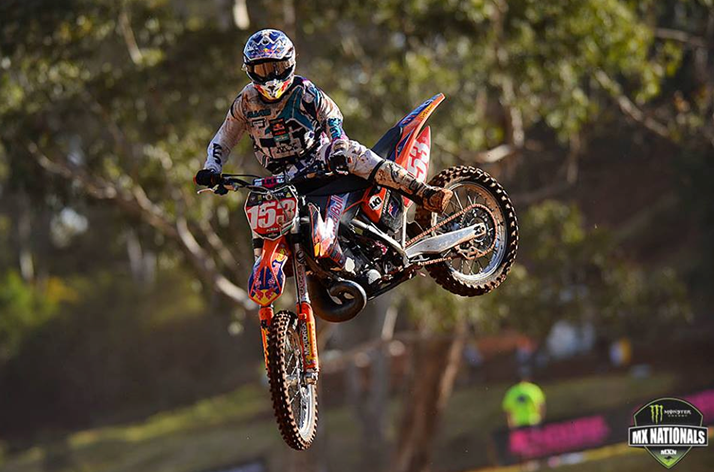 SC: Australia’s MX Nationals have great depth in their riders competing at similar levels across all classes. 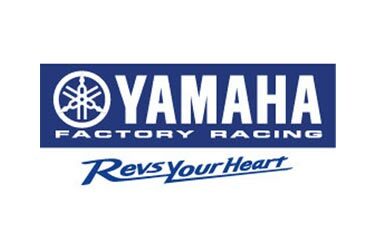 What is most stand out difference between racing Australia’s MX Series to racing at home- given difference of depth in talent. Kayne: I find that if you don’t get a start it is difficult to pass as there are more riders the same speed as you. With NZ it is a little different but NZ have some fast riders too, that’s for sure. 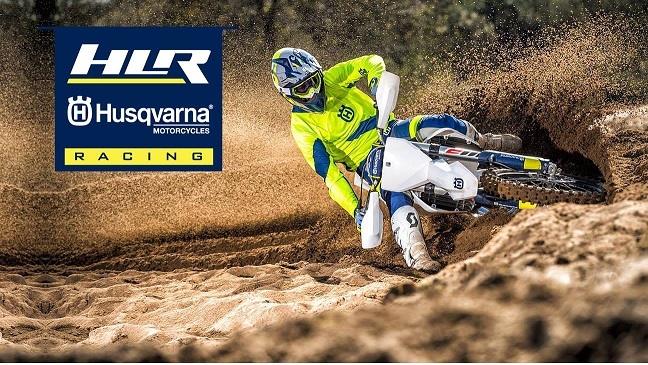 Chris Birch KTM Ambassador and Red Bull athlete took unfortunate crash while out testing Red Bull Romaniacs sections prior to start of the most Extreme Enduro event in the world.